Mabel Ora Risheill, my husband's great grandmother, was born in 1888 in Granite Township, Phillips County, Kansas. A quick look at the map shows that Granite is smack dab in the middle of nowhere. (Sorry Kansas) In the year 2000 the population of the township was 21, I can only imagine what it was when the Risheill's were living there. Mabel was the forth child, of seven, born to David Oliver Risheill and his wife Elizabeth Miriam Trevor. David, son of a farmer/preacher married Elizabeth, daughter of a farmer/preacher in Kansas by the year 1883. David was born in Henry County, Illinois and his wife Elizabeth in England. Both families had been on the move for some time and they crossed paths in Kansas. Elizabeth's stayed put as did some of David's brothers, but David and his father moved on finally stopping in Colorado. When I think of the men and women of that era I think of them as being very traditional and very set in their gender roles. Men worked, women stayed home, raised children and basically took life as it came to them, staying with their husband, good or bad, until one of the two of them died. When you throw in a couple of Methodist Ministers into the mix, I would expect even stricter standards of behavior. 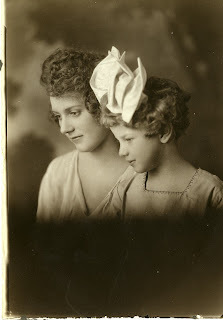 However, Mabel and her sister have made me revise my belief about women in the early 20th century. Here is what I know about Mabel and her sister Dorothy Mae. David and his father, the Reverend Joseph Oliver Risheill, appear to have given up on farming by the middle of the 1890's. They are not in the 1895 census of Kansas. Joseph is recorded as officiating at his daughter Jessie's wedding in Hilltop, Douglas County, Colorado in 1896. Hilltop is to the southeast of Denver. Beginning in 1897 David Risheill's name began appearing in the Denver Directory. He seemed to have had a different job every year, he was a butcher, a fireman, a clerk, a driver, a watchman and a janitor. I am not sure if his work history said something about him or the state of the economy at that time. In any case, by 1910 he was dead at the age of 48. Dorothy Mae, Mabel's younger sister, took the plunge for the first time at the age of 15, she married Duncan Cameron in 1908. Mabel waited until the ripe old age of 22 for her first marriage. On December 25, 1910 she married Forrest Oliver Babcock. During their marriage they lived in rural Teller County which due west of Colorado Springs. Forrest was originally from Wisconsin but his family migrated to Colorado. He and his father worked for the same company, he a painter and his father a carpenter for the US Zinc Company. His marriage to Mabel was actually his second one. In 1906 Forrest married Marie L. Strange of Denver. The marriage ended tragically only a year later with the death of Marie, she died of blood poisoning. Her mother committed suicide on hearing the news. In the 1910 US census, Mabel was living with her parents in Denver, she worked as a clerk in a theater. Forrest, listed as a widower, was in Teller County, living with his parents. How and when they met is a mystery but they married in December of 1910. The marriage lasted a short four years, or a long four years depending on the circumstances, anyhow Mrs. Forrest Babcock sued for divorce in 1914. Mabel's sister Dorothy was one step ahead she was already on her second marriage. She married John C. Rogner in 1913. Neither Mabel nor Dorothy had children from their first marriage. 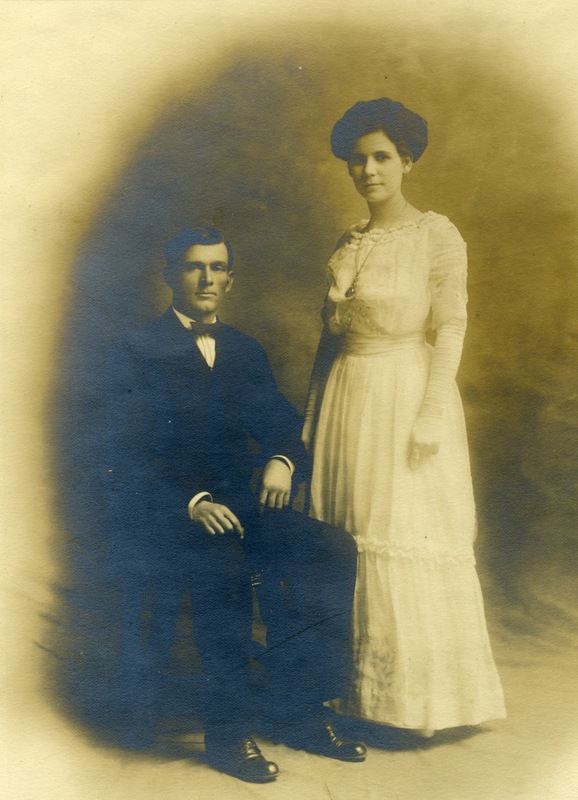 On 7 June 1915, Mabel married Noel Lane Roberts, in Buena Vista, Chaffee County, Colorado. Buena Vista was incorporated in 1879 and rapidly became a railroad town servicing the mining industry, it is about 75 miles west of Teller County. Noel was born on 5 March 1882 in Bluffdale, Hood County, Texas. He was, oddly enough, the son of a farmer/preacher. In the 1910 census he was living in his parents home, in Texas. A document from the State Department shows that he was in Ecuador working as a miner in 1913. Presumably he was working in Buena Vista by 1915 when he met Mabel. Noel and Mabel settled in the little town of Creede, Mineral County, Colorado, about 135 miles by road to the southwest of Buena Vista. Many of Noel's family were already in Colorado working in the ranching and mining industry. Noel and Mabel bought a ranch "upriver" in Creede. On June 10, 1916 their ranch, Antelope Park, opened for business. At that time Creede was on the rail line and tourist would come for the fishing and hunting. The ranch was open to tourist through the summer months, when winter came, they closed the ranch and often went to Louisiana where Noel found work. Fly fishing was a big part of the attraction at the ranch resort and Noel and others like him bought thousand of fish fry from the nearby fish hatchery to stock their creeks. 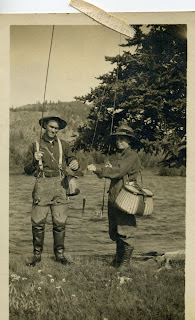 The only picture of Noel and Mabel is one of them fishing. The local paper, The Creede Candle, is a great source for local gossip. The comings and goings of the town people was reported weekly. In the January 19, 1919 issue it was reported that Mrs. Dorothy Rogner and daughter were visiting Mrs. N. L. Roberts. A November 1921 issue stated that Mr. Noel Roberts had left for Shreveport to work in the oil fields for the winter. In the 1920 census, Noel and Mabel, living in Creede, had a 13 year old son, Floyd. Now it doesn't take much math skills to see that Floyd, born in 1907 cannot be the child of Noel and Mabel, who married in 1915. I believe that he was adopted. 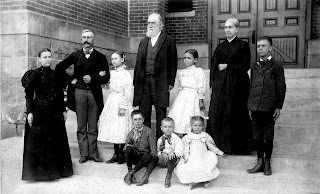 Mabel's Aunt Kate Coe ran an orphanage in Kansas City, MO and several of Mabel's nieces and nephews were adopted from there by her siblings. In later census' Floyd stated that he was born in Missouri. 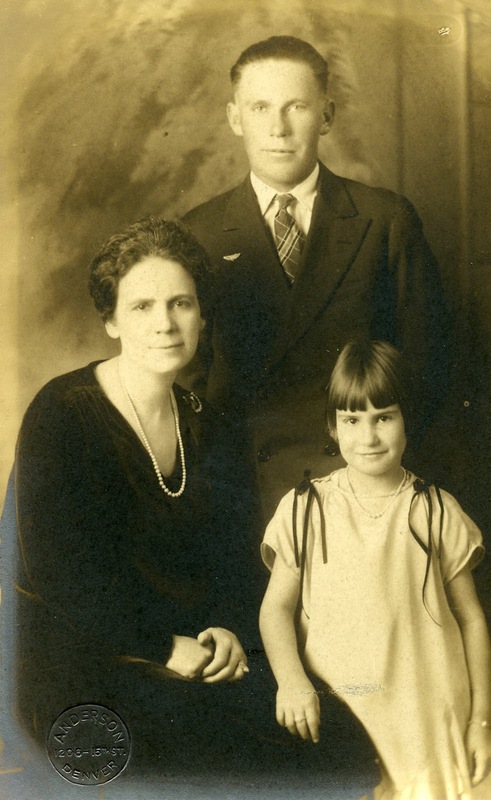 At the time of the 1920 census Mabel was pregnant and gave birth to Mary Lynn in December of that year. Mary Lynn was her only biological child. Dorothy also had only one child, Billy Jane, born in 1915. I believe her father might have been John Rogner, but she was adopted by her mother's third husband, Peter D'Amica and went by the D'Amica name. A tidbit in the Creede Candle in 1922 tells of a visit to Mrs. Noel Roberts by her mother, sister Violet and her sister Dorothy D'Amica. Dorothy divorced husband number two some time before 1919 and her marriage to Peter D'Amica. Peter was a druggist in a drug store in Denver. In 1922 Noel was mining for himself, staking his own claim which he named "the Mabel". This left the real Mabel running the ranch by herself. She also sold fresh butter and dairy products which she produced herself. They seemed to have to work very hard to make a living. At times Noel worked delivering salt and he also worked for different mining companies. I don't think life was easy for them. For whatever reason, the marriage of Mabel and Noel ended in 1923. Mabel sued Noel for divorce and asked for half the property. Noel counter sued. Apparently most of the town showed up for the divorce case, looking for "spicy details" but was disappointed when Mabel failed to show. Maybe the neighbors were acquainted with some of the reasons for the divorce as the newspaper reported there was "considerable sparring" between them or maybe they were just easily entertained. In any case Mabel and Floyd left Creede that August, whether or not Floyd saw Noel after that is unknown the man was barely mentioned. Dorothy had by then dumped husband number three, divorcing Peter D'Amica in 1922. In 1924 newly divorced Mabel opened a hotel, called the Hope Hotel, it was located at 1233 Welton St. in downtown Denver. If the numbering of addresses was similar to today's then it would have been near the Emily Griffith High School. Mabel was listed in the Denver Directory for several years as the proprietor of the hotel. In fact one of the first things I remember hearing about Mabel was that she ran a hotel. I don't think it was anything swanky and given it's proximity to the railroad and the economy of the day, I suspect it was more of a boarding house for workingmen. In 1927 Dorothy married for the forth time, Albert Theodore Altvater, grocery store owner, was next in line at the alter. Mabel made marriage number three in 1928. This time her groom was 56 year old William M. Young. He worked for one of the railroads that operated in Denver. He was originally from Louisiana and had been in Denver for sometime, at least 1910 when he was recorded in the census. He was married to a Martha who presumably died after the 1930 census was taken. They did not appear to have any children. William and Mabel appear in the Denver directory from 1929 until 1934. William died in 1935 and thereafter Mabel is listed as his widow. Mabel was about 47 at that time. She never remarried. She continued to live in Denver and was listed at various addresses in the city of Denver. In 1945 she worked at the Altvater Grocery Store on Kalamath St. Dorothy had by then separated from her husband Albert Altvater and lived with her mother. Eventually Dorothy remarried for a fifth and last time to a Donald Corman, they lived in Pueblo, Colorado. Mary Lynn Roberts, daughter of Noel and Mabel married twice herself and eventually settled in Pueblo. Her mother and Grandmother left Denver and moved to Pueblo some time after 1965. Noel remarried in 1927 to a very young lady from Louisiana I wonder if he met her when he was working there in the winter. I have to admit that Mabel and her sister surprised me. Not only did they dump their men when things didn't work out, but at least Mabel was able to go into business for herself and support her two children. Mabel died in her eighty third year, her headstone says "beloved Mother".